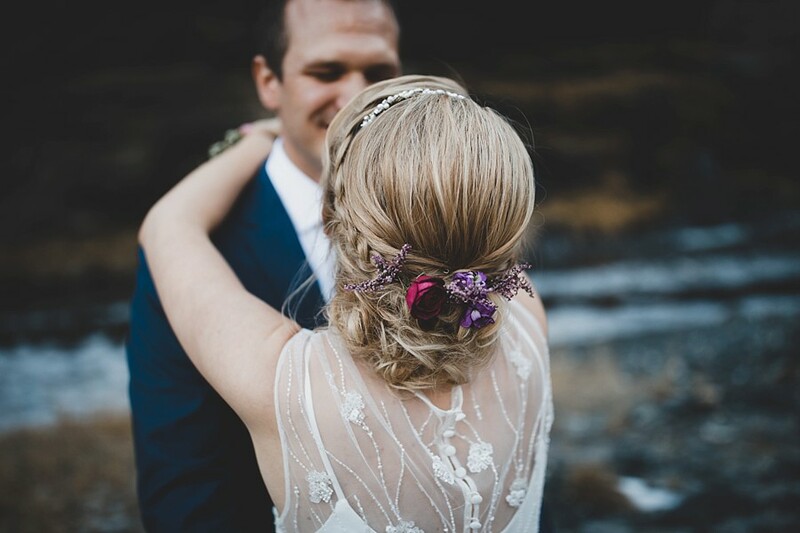 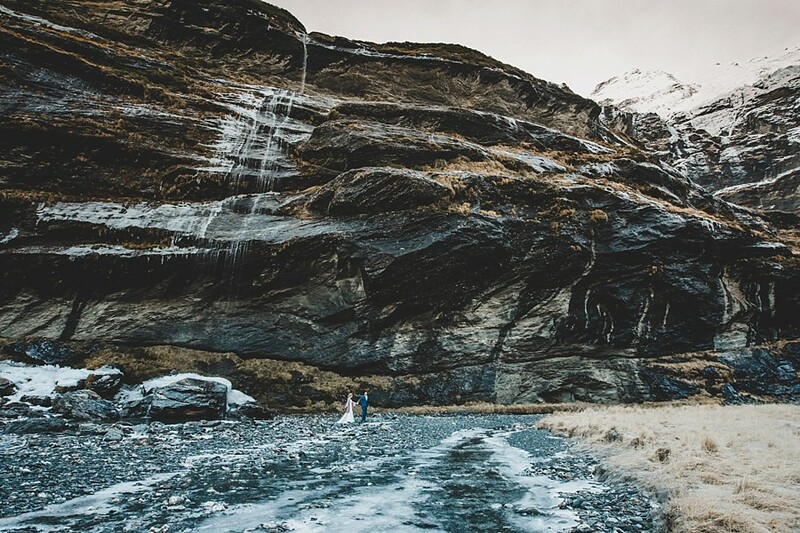 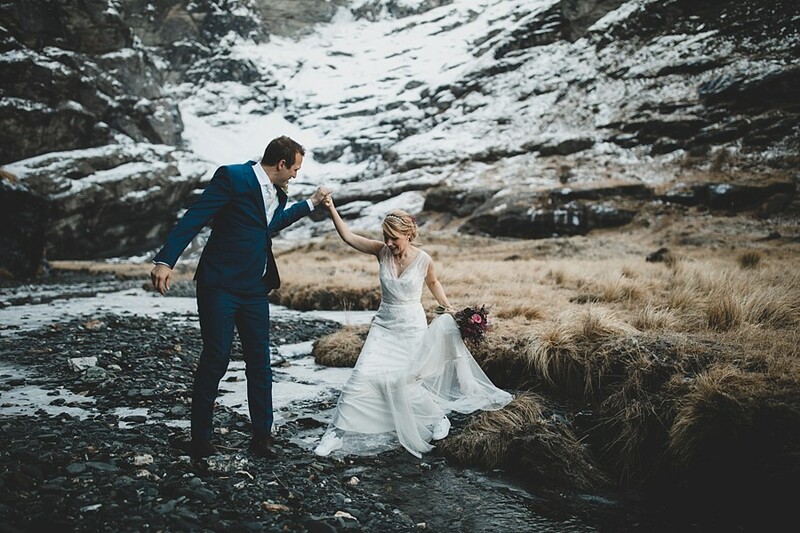 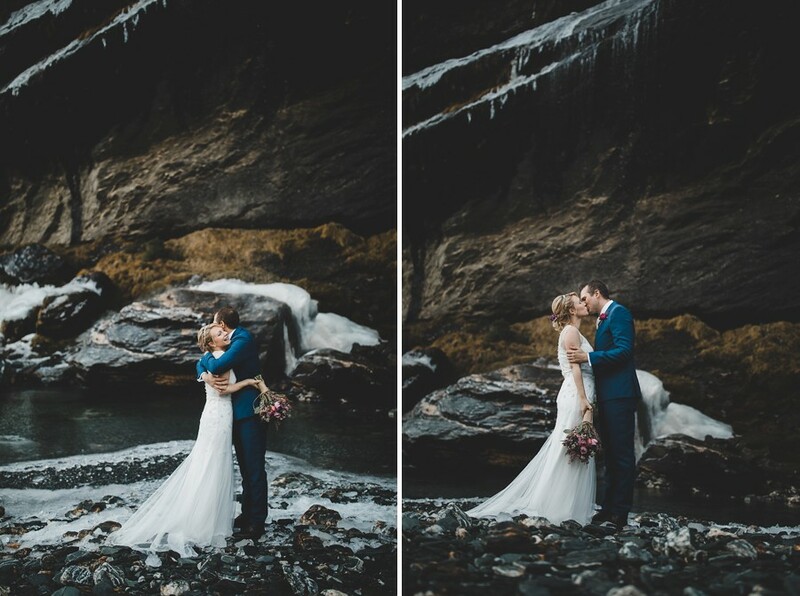 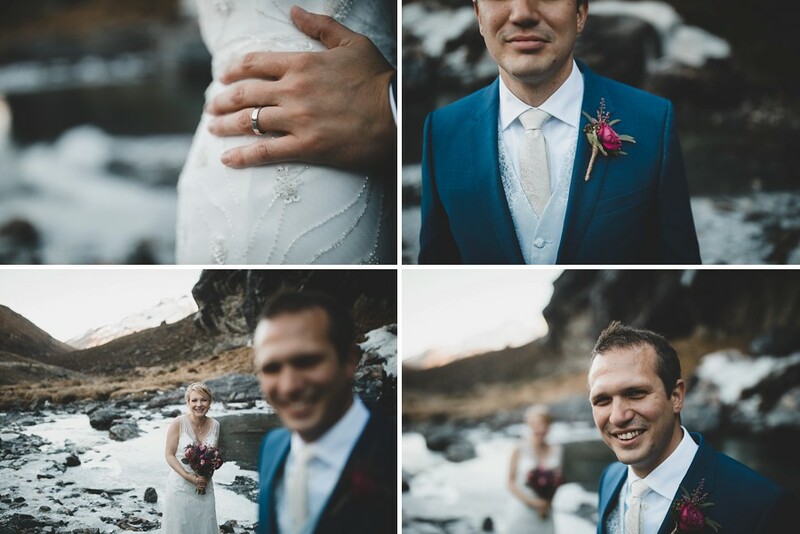 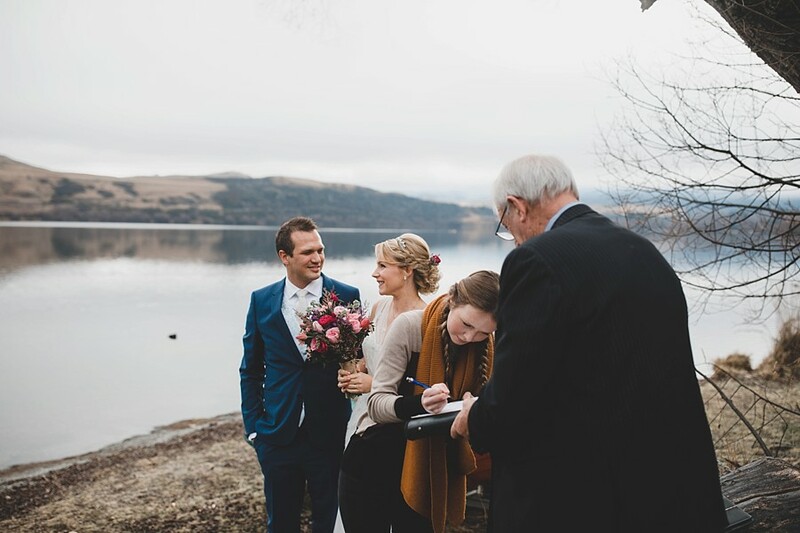 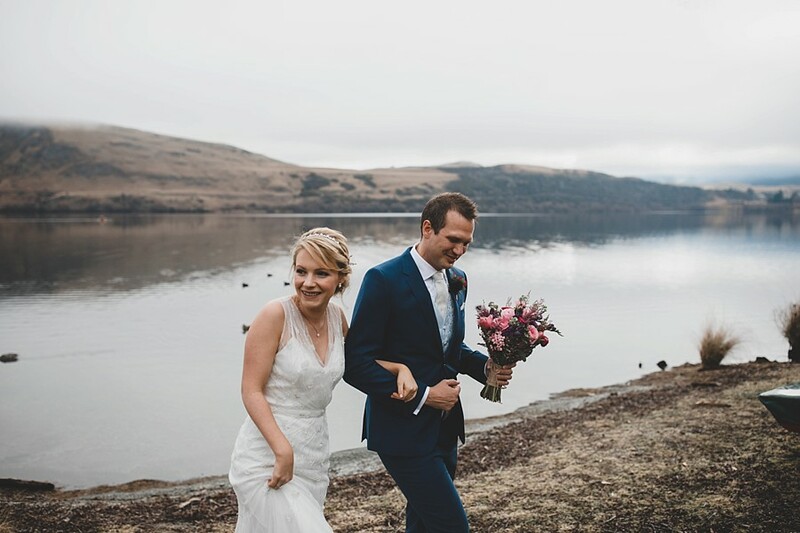 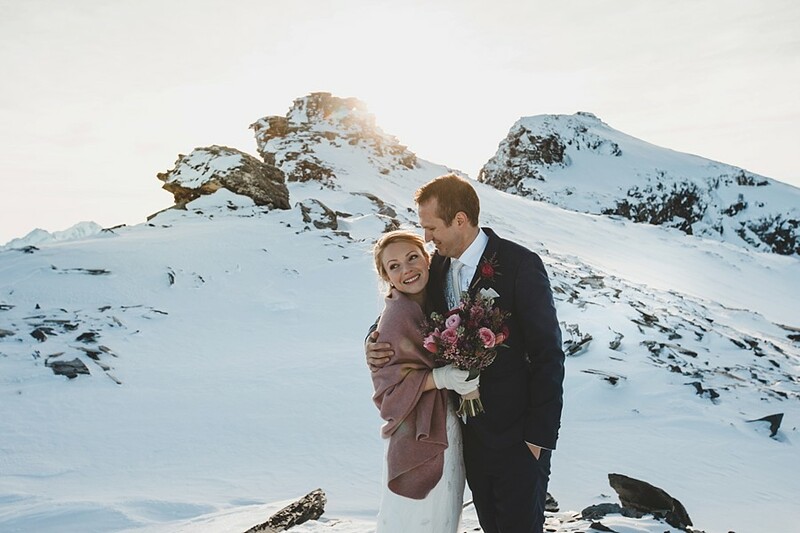 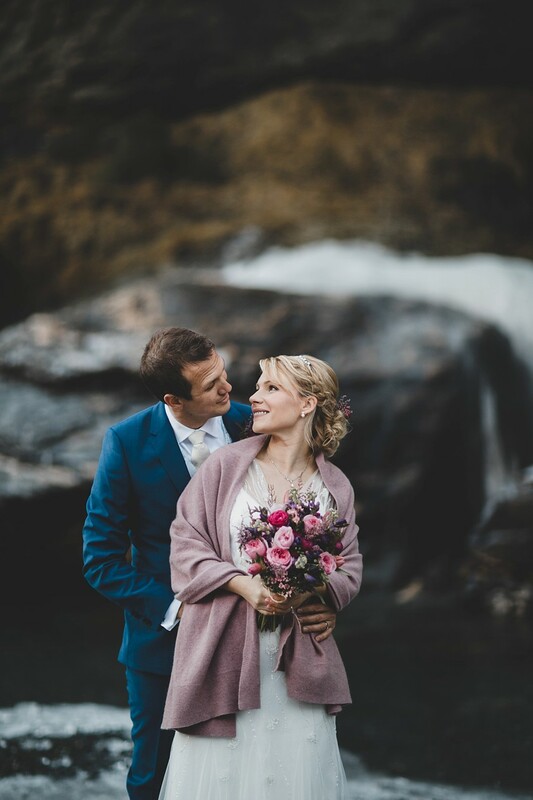 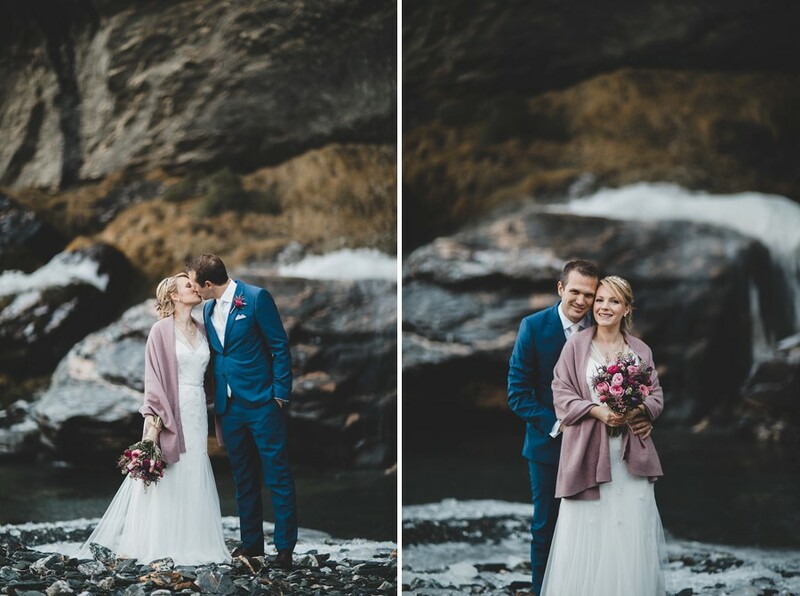 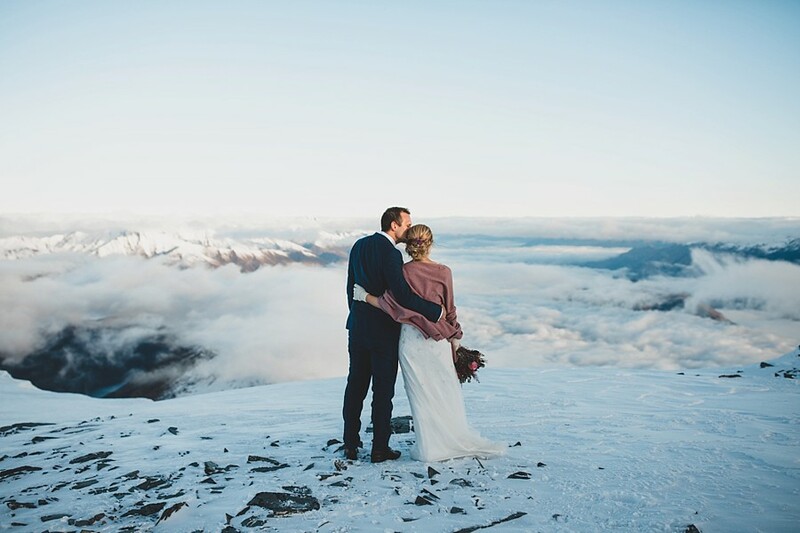 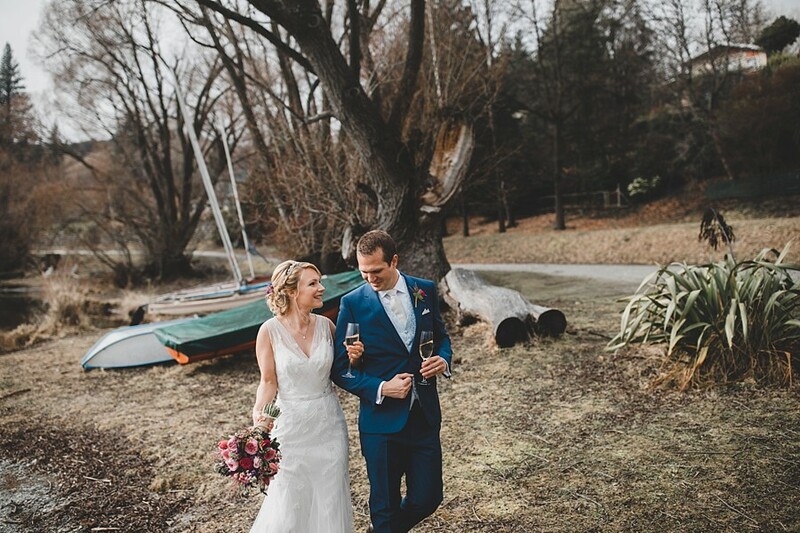 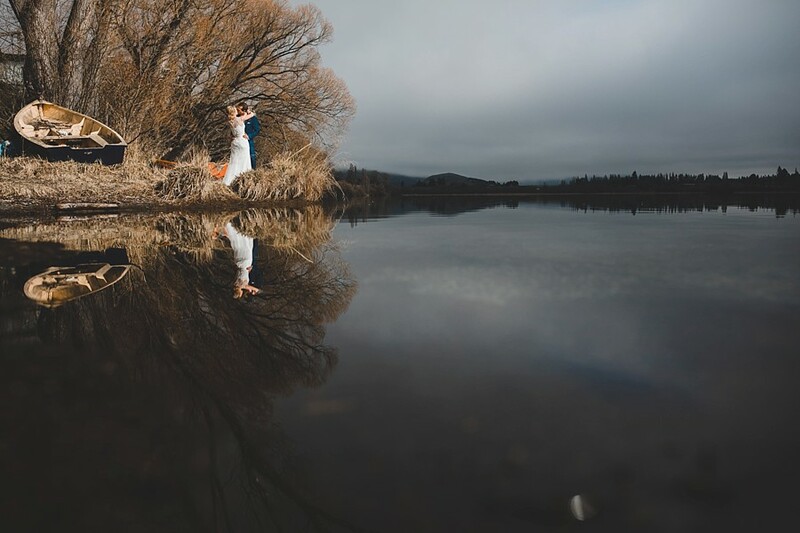 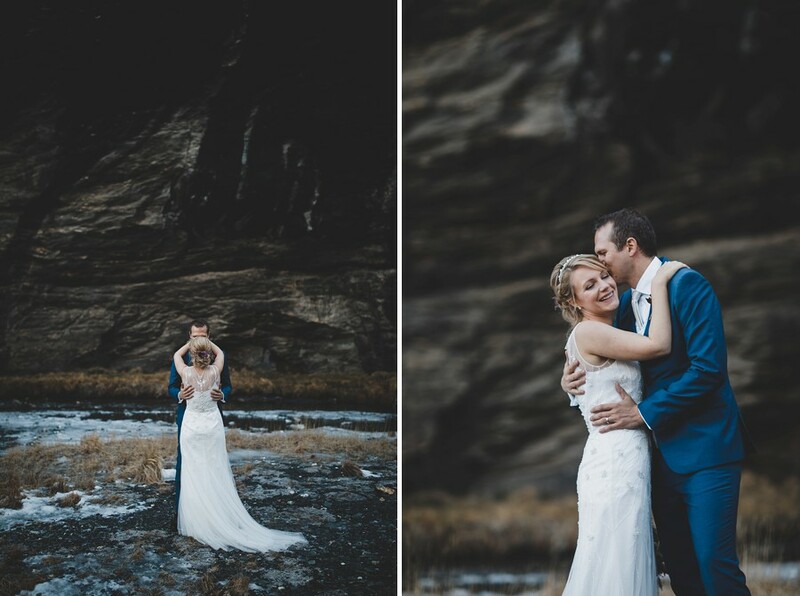 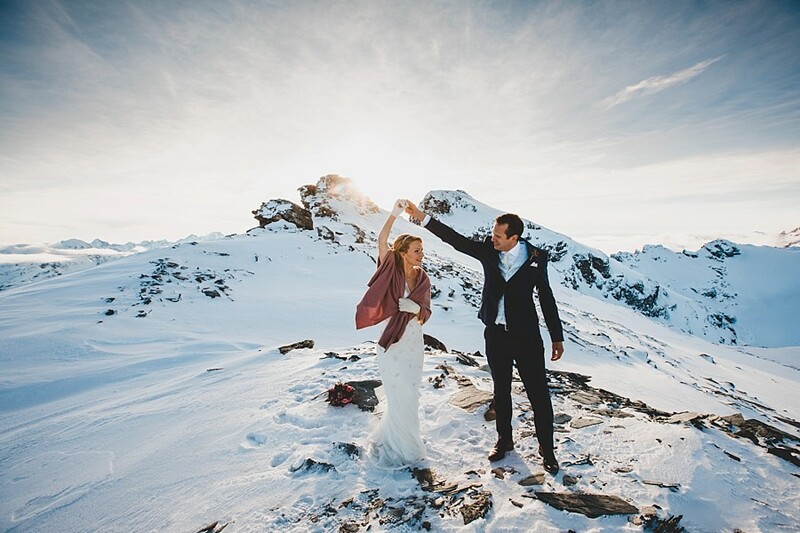 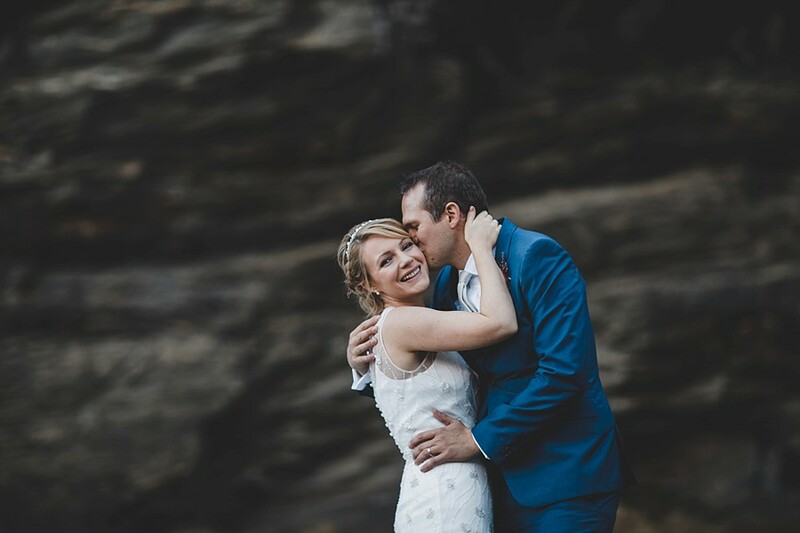 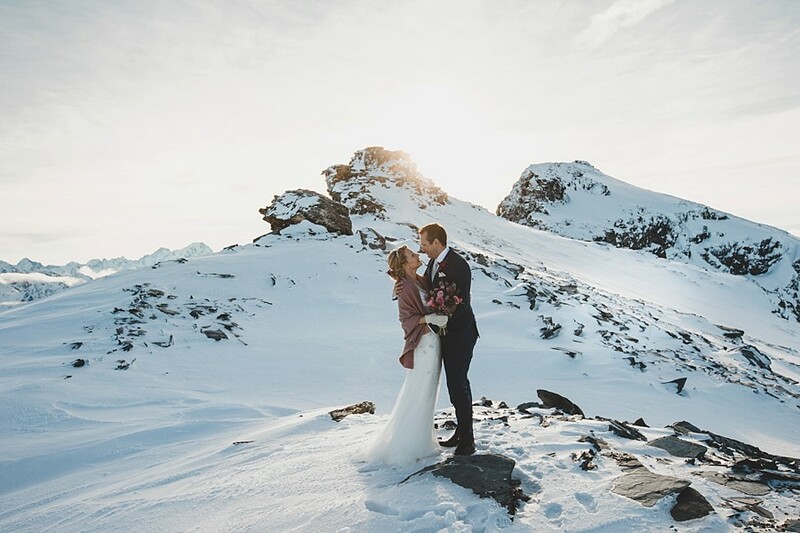 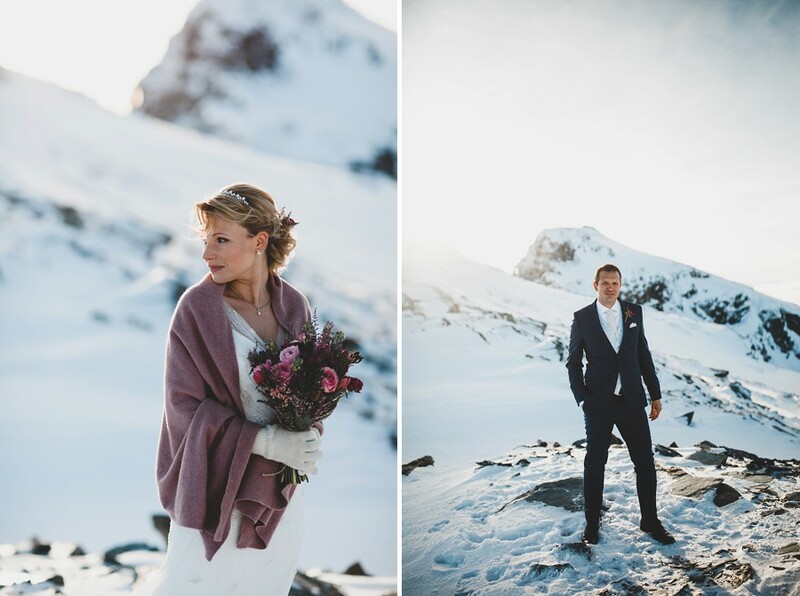 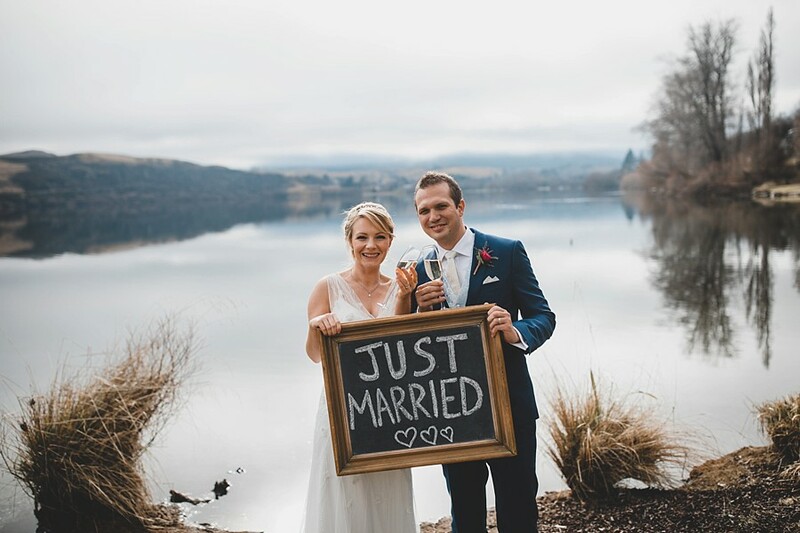 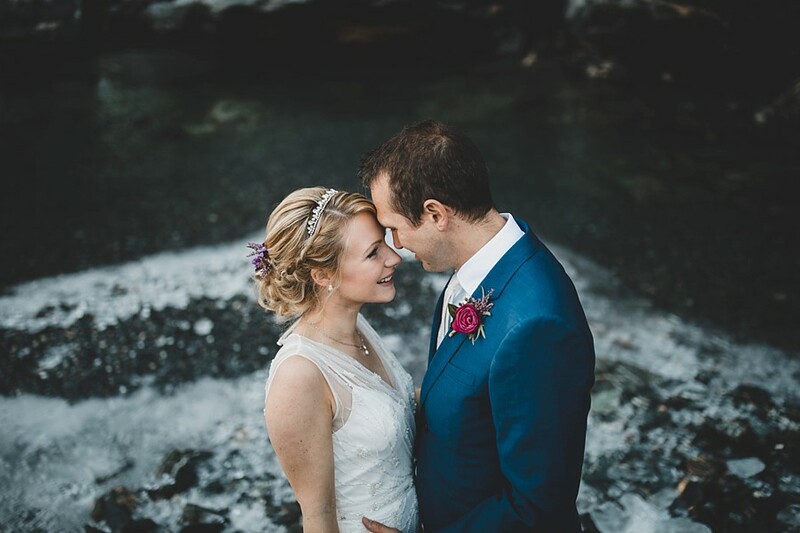 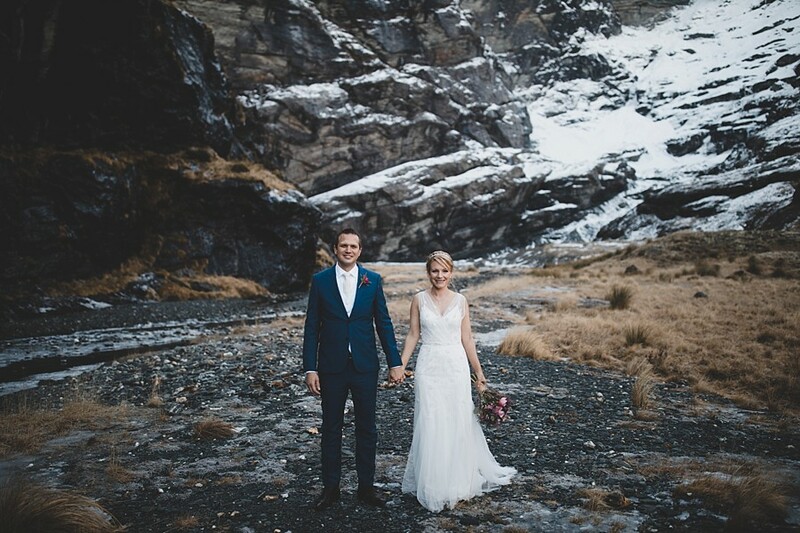 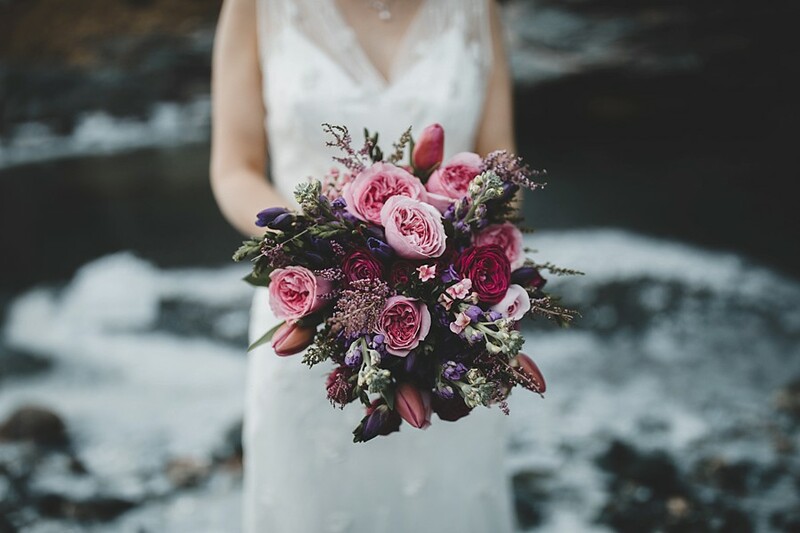 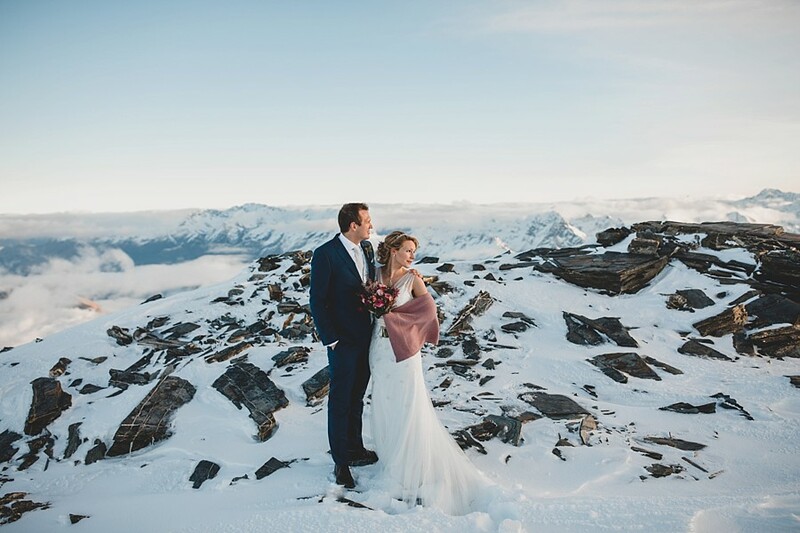 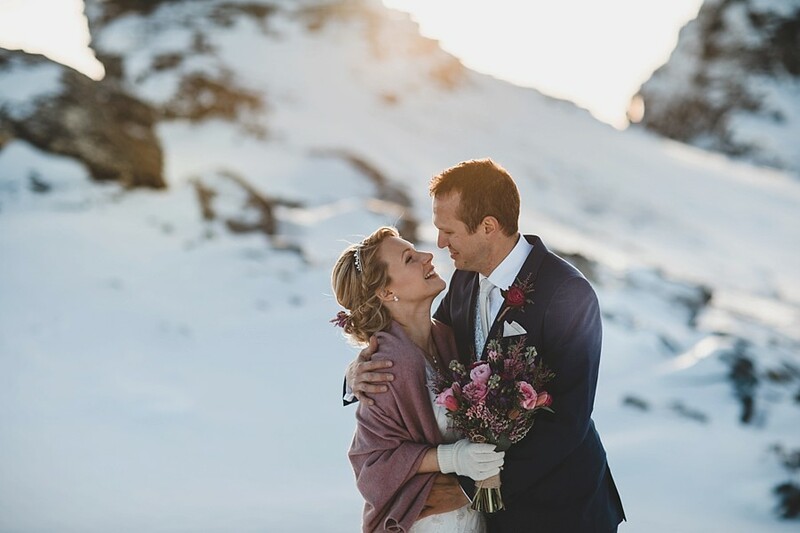 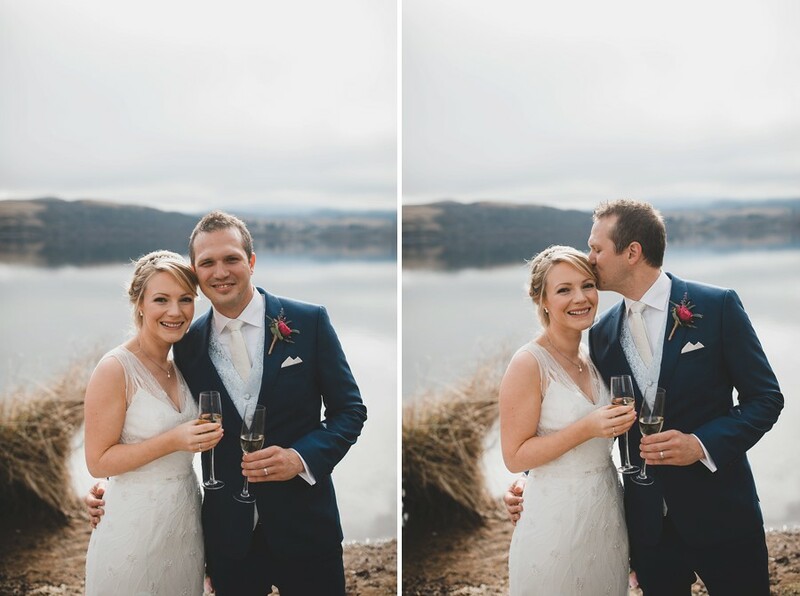 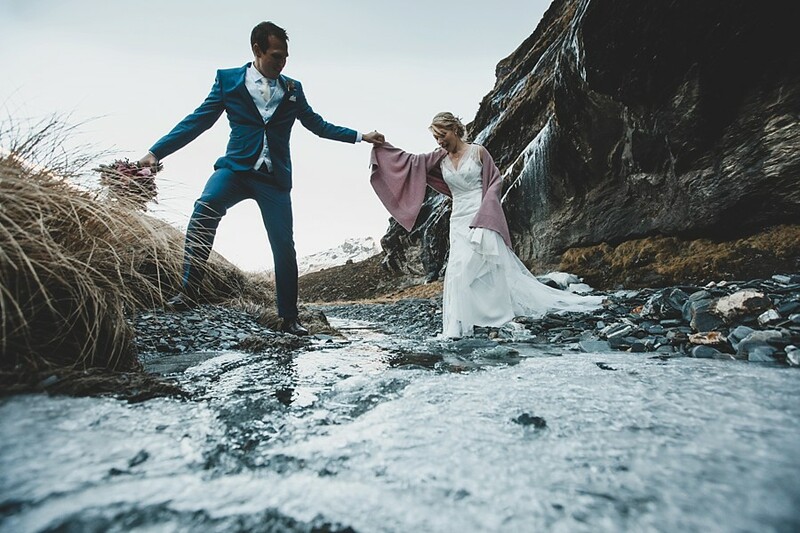 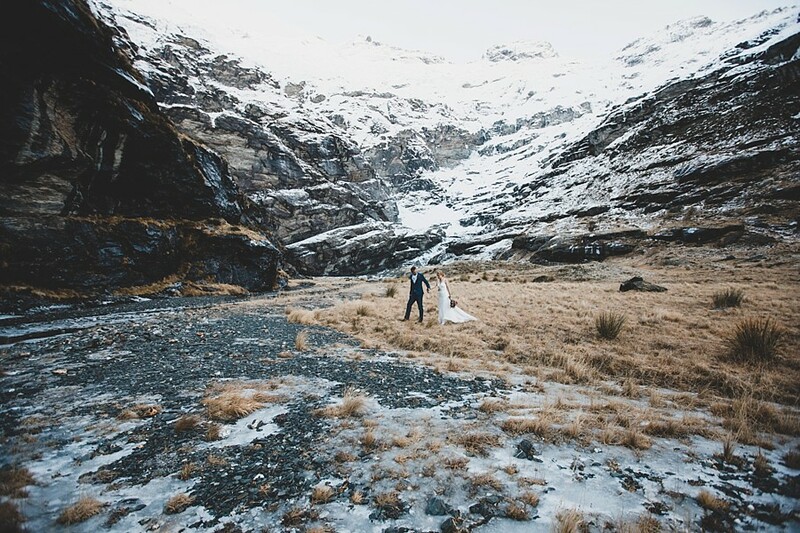 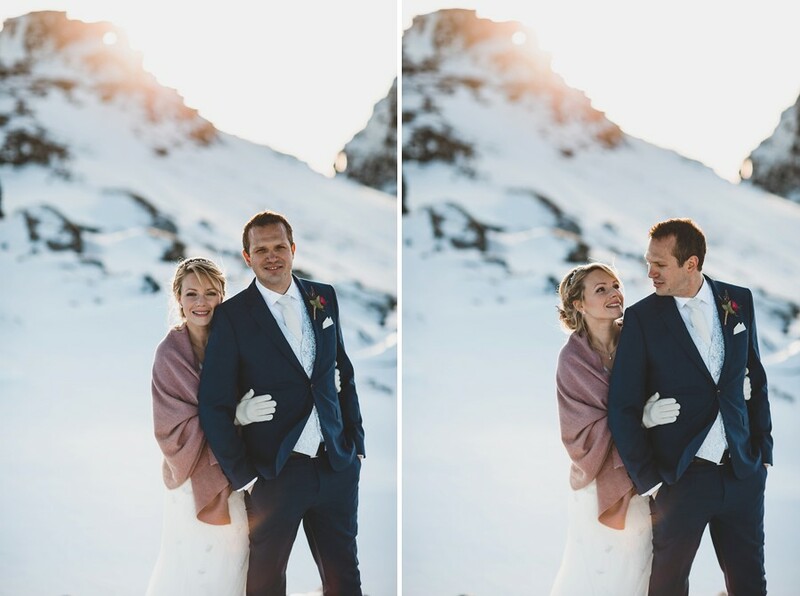 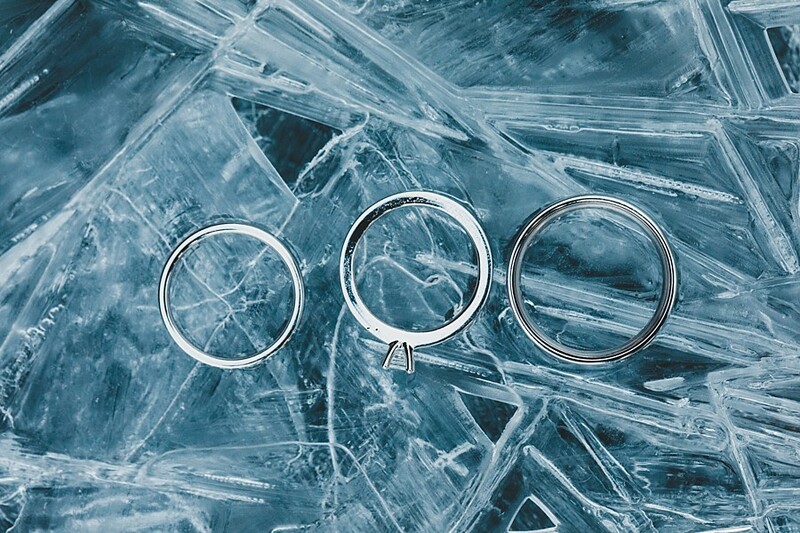 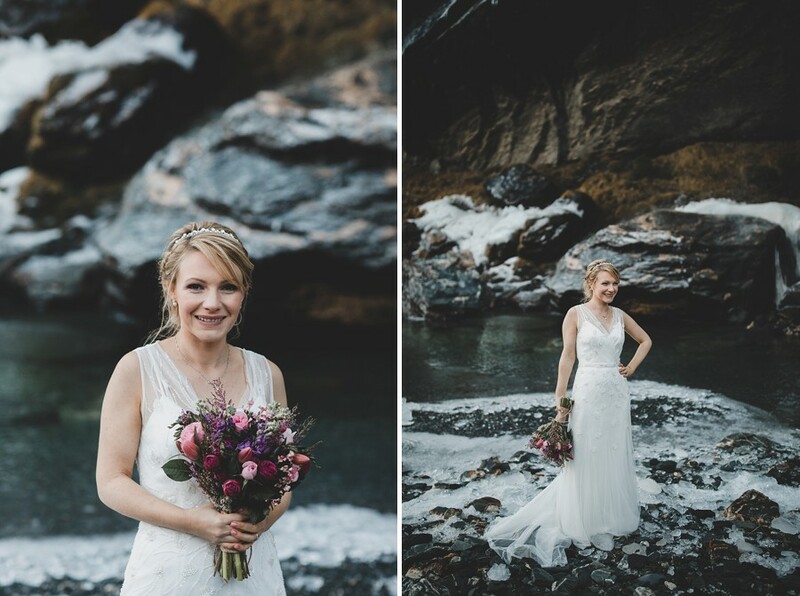 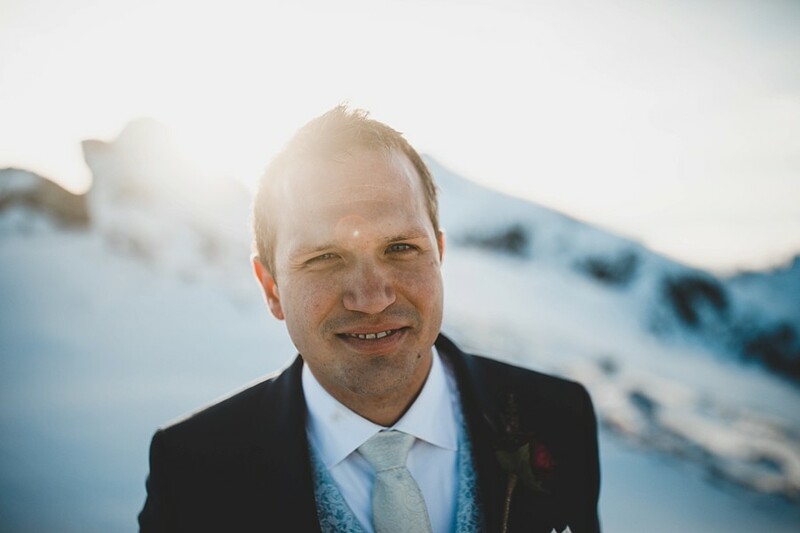 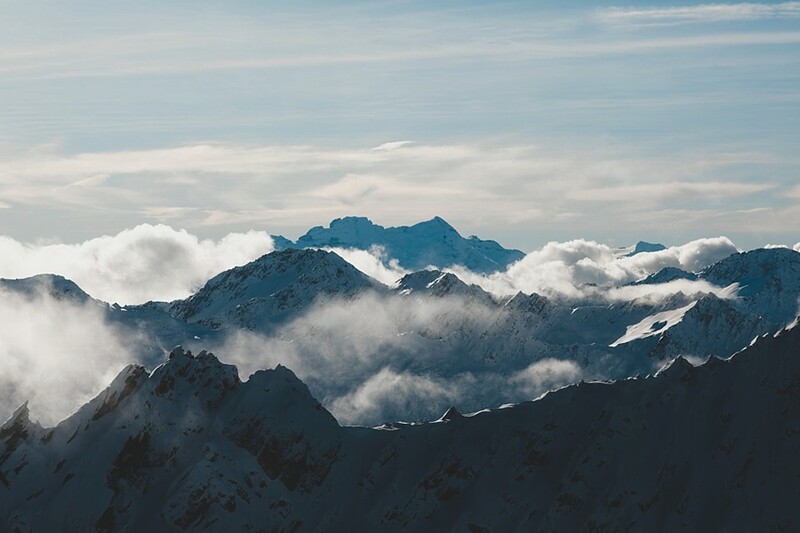 Nicky & Fabian eloped on a calm winter’s day in Queenstown. 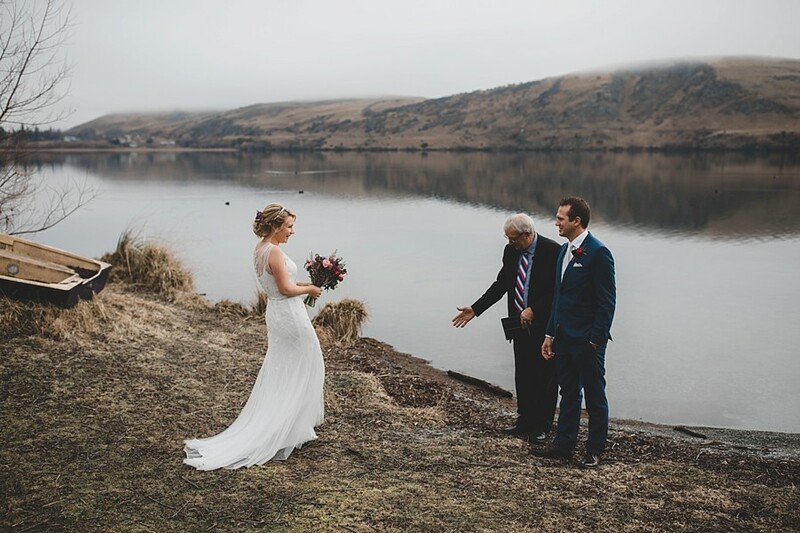 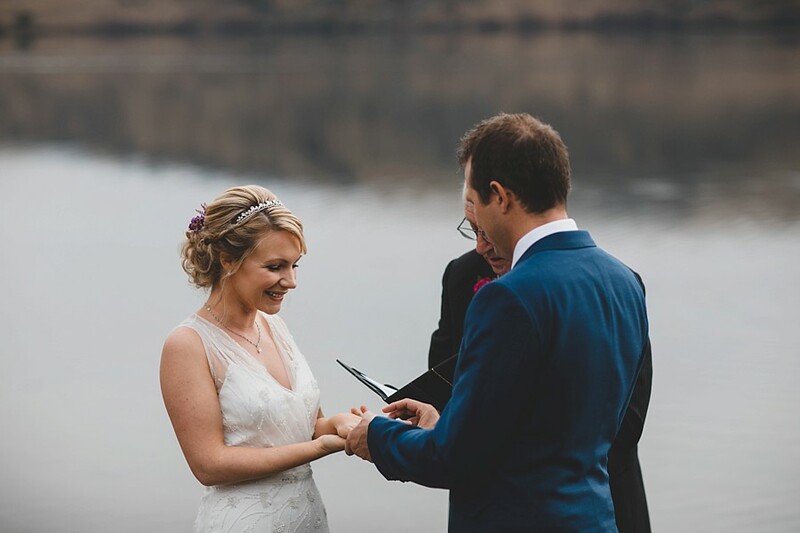 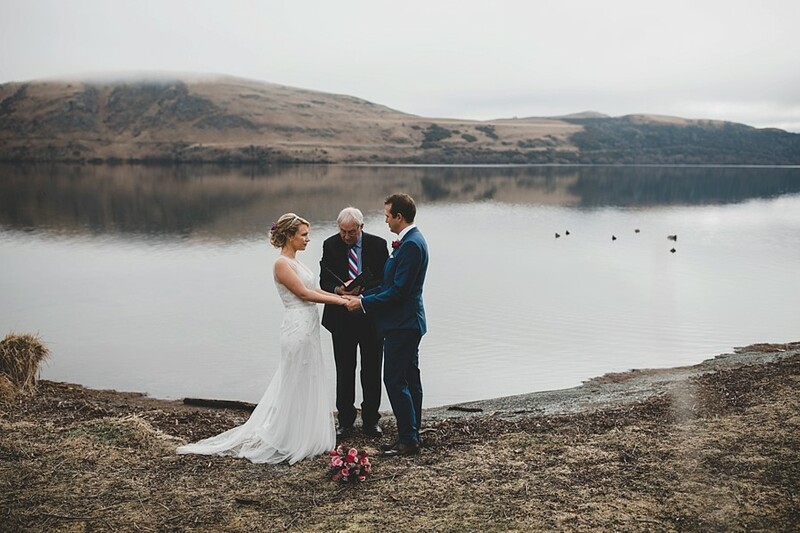 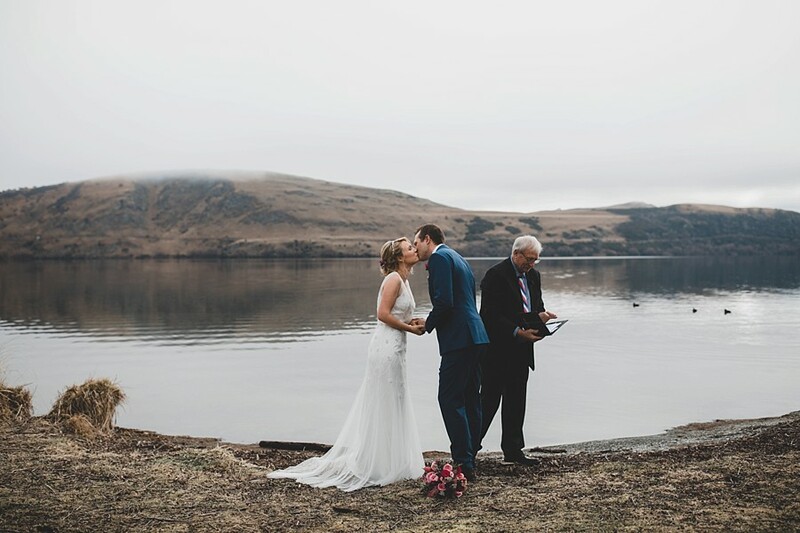 Their ceremony was at Lake Hayes, as low cloud – almost fog like, hung around all day. 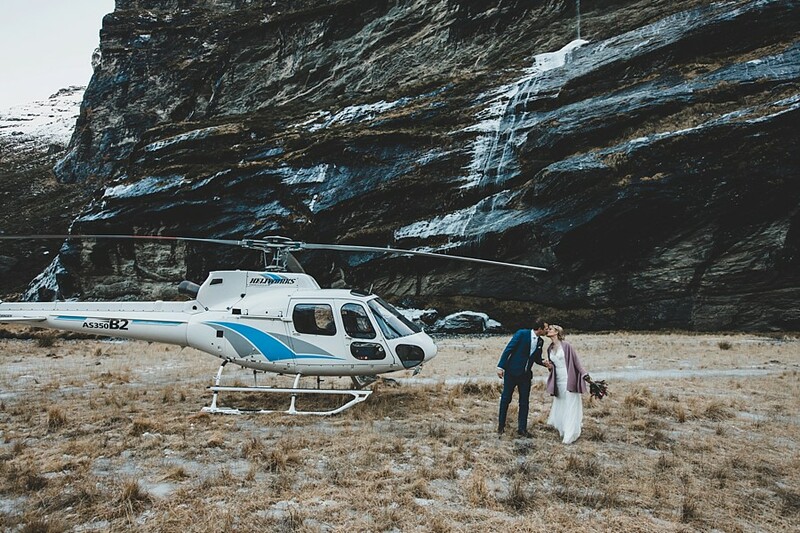 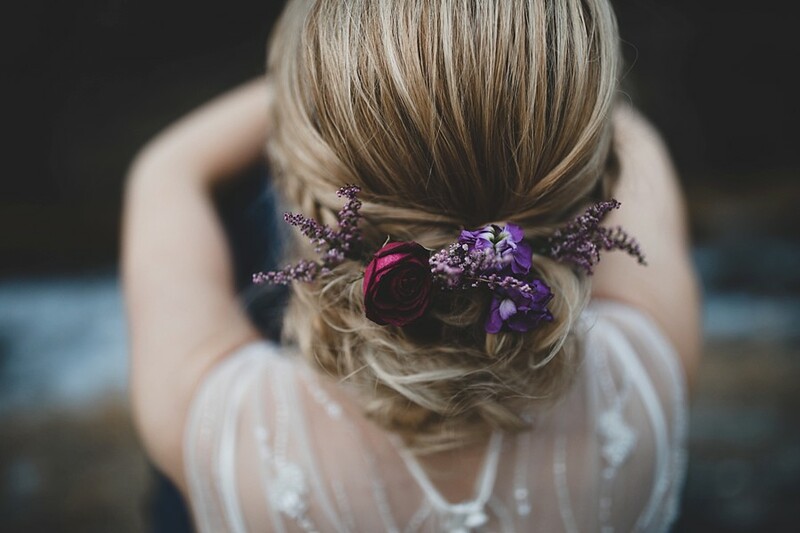 Their wedding was beautifully planned by Simply Perfect Weddings, who arranged everything from hair/makeup through to the helicopter. 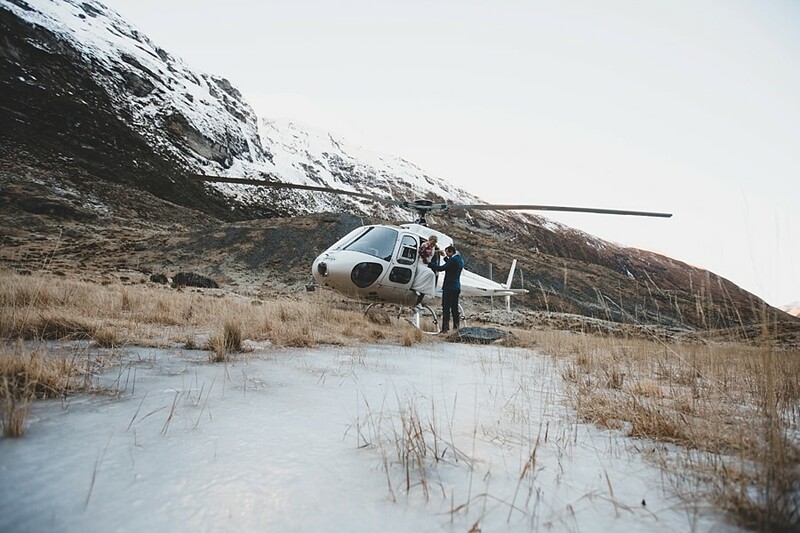 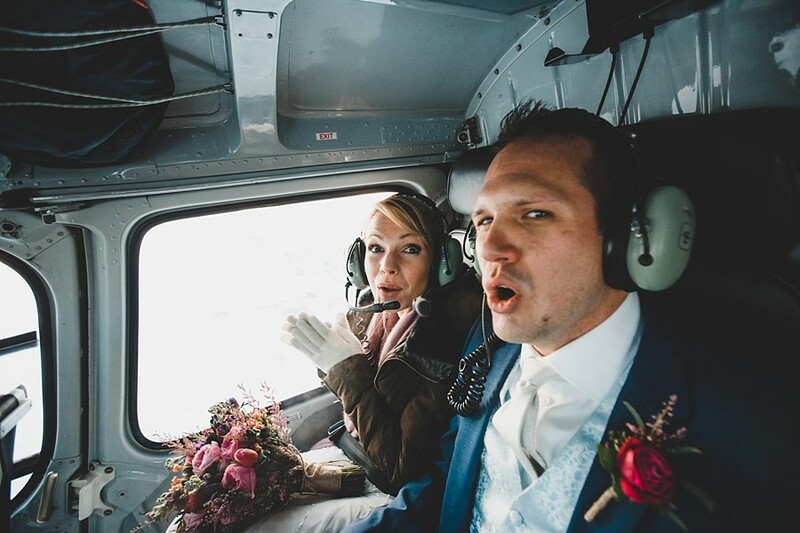 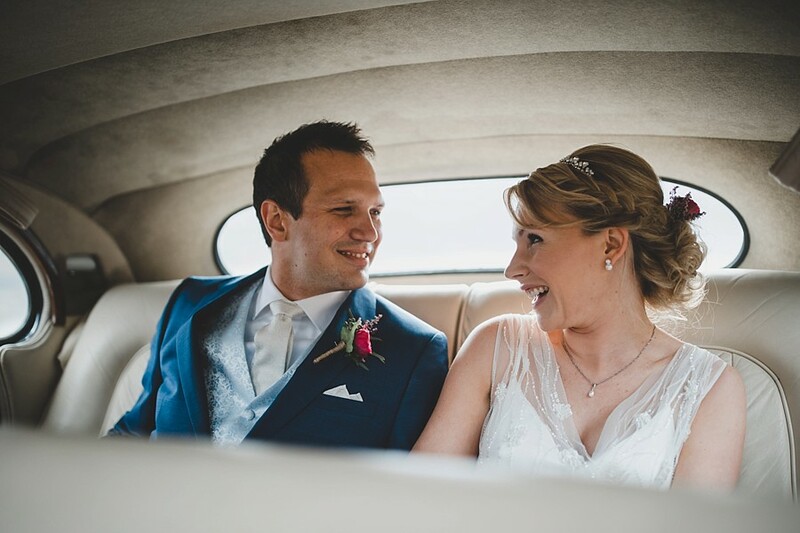 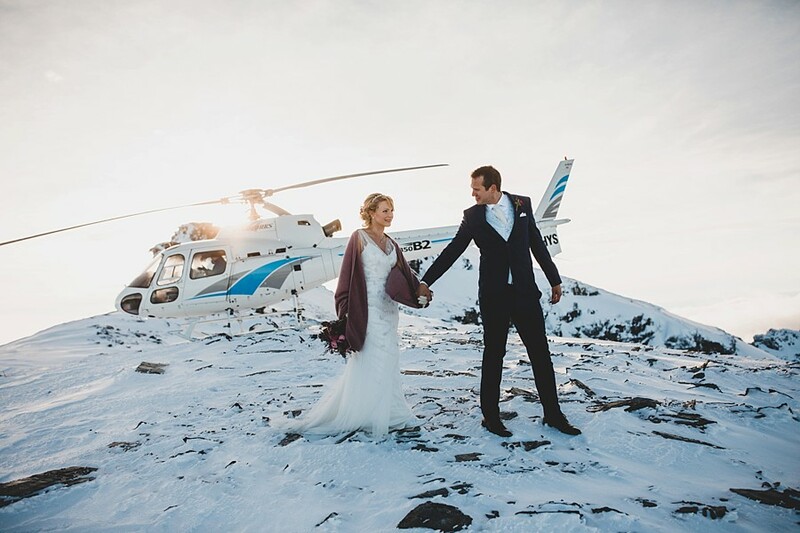 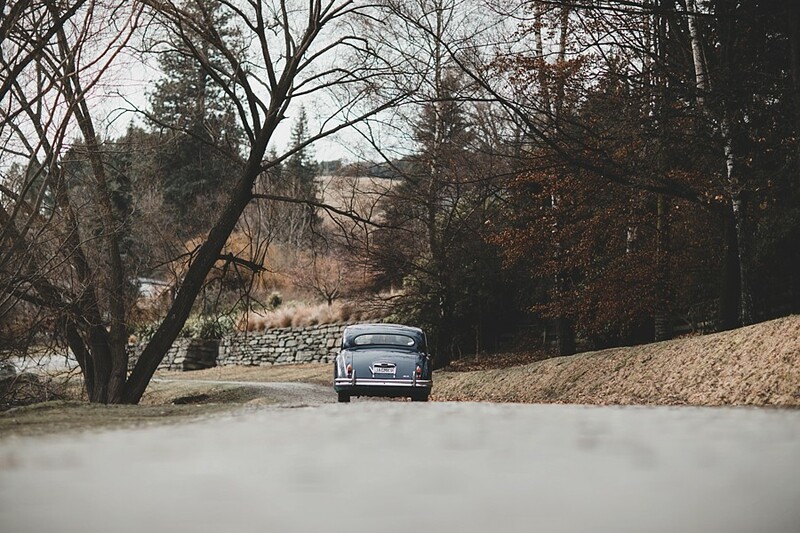 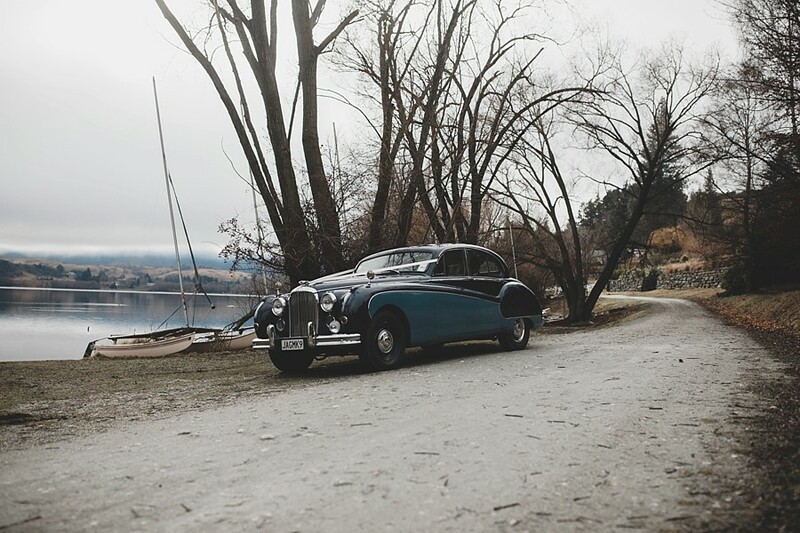 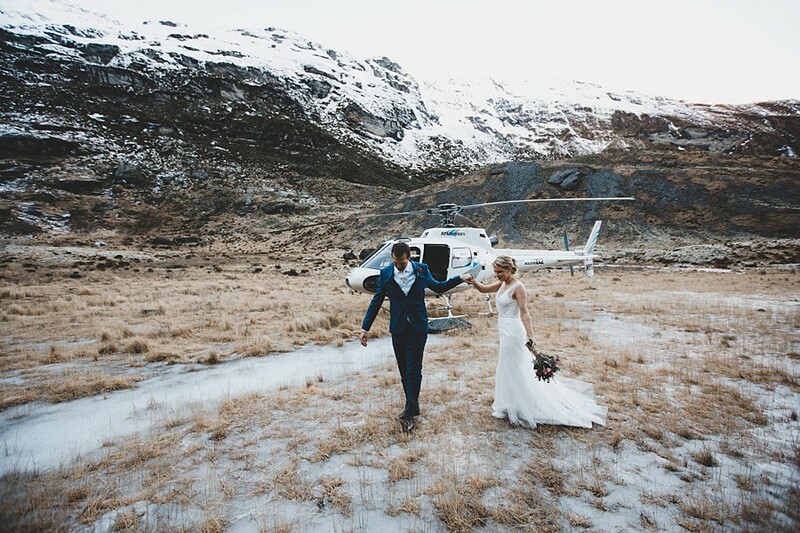 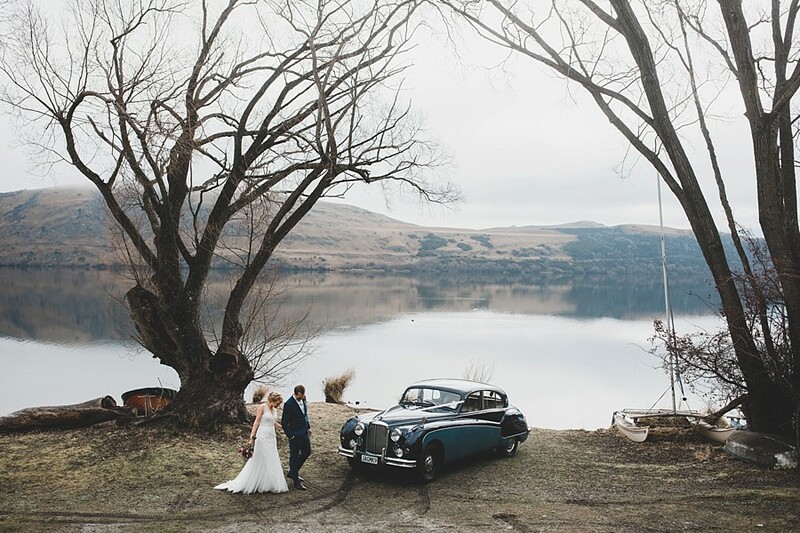 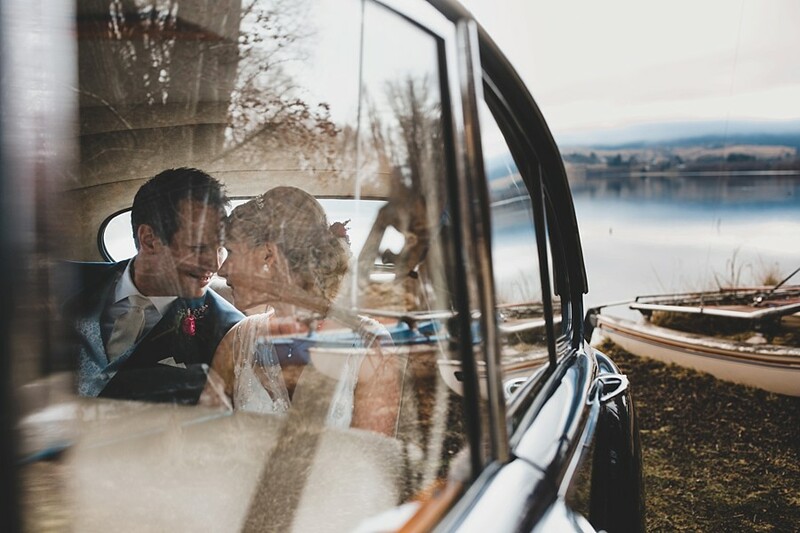 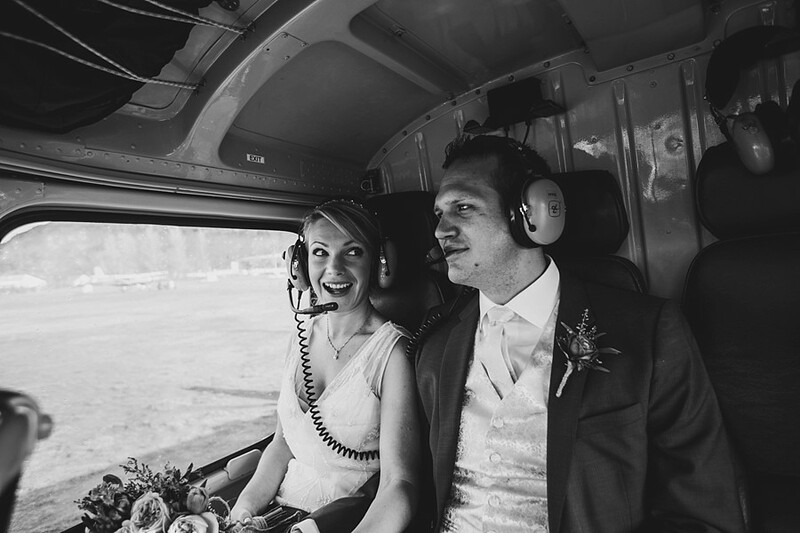 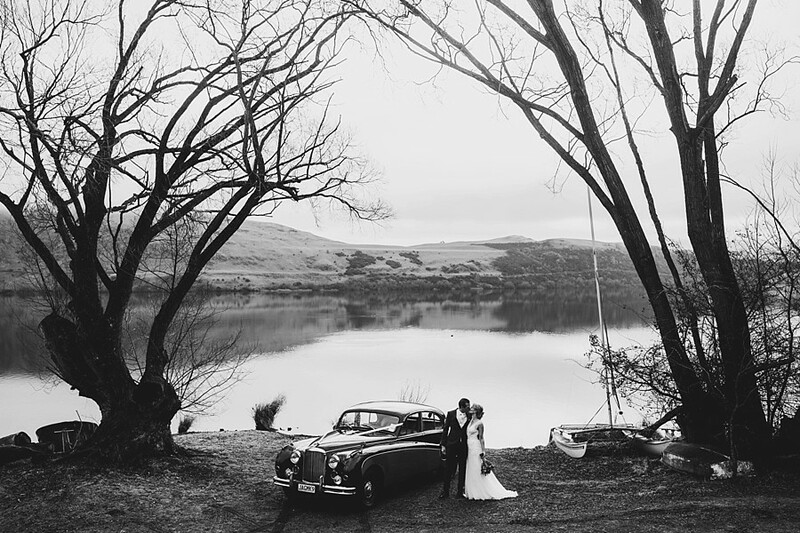 Following their ceremony, Nicky & Fabian were whisked away in a Jaguar Mk IX to Queenstown airport, where they swapped 4 wheels for a Squirrel helicopter. 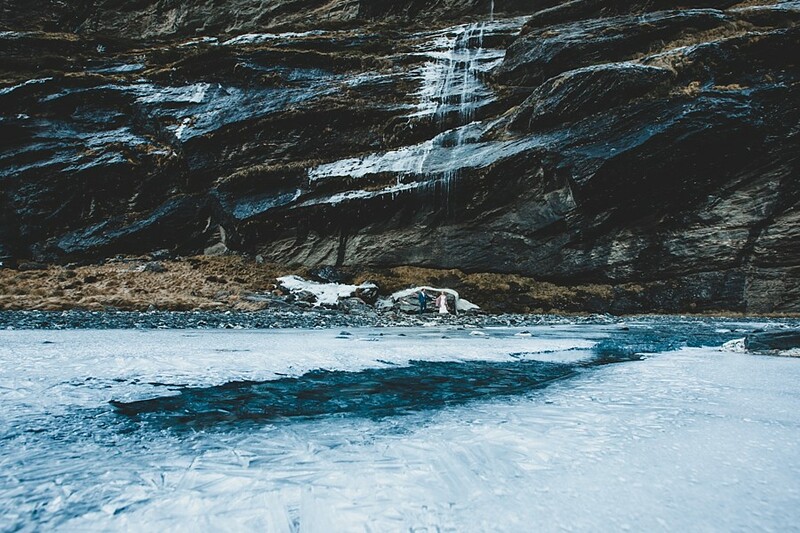 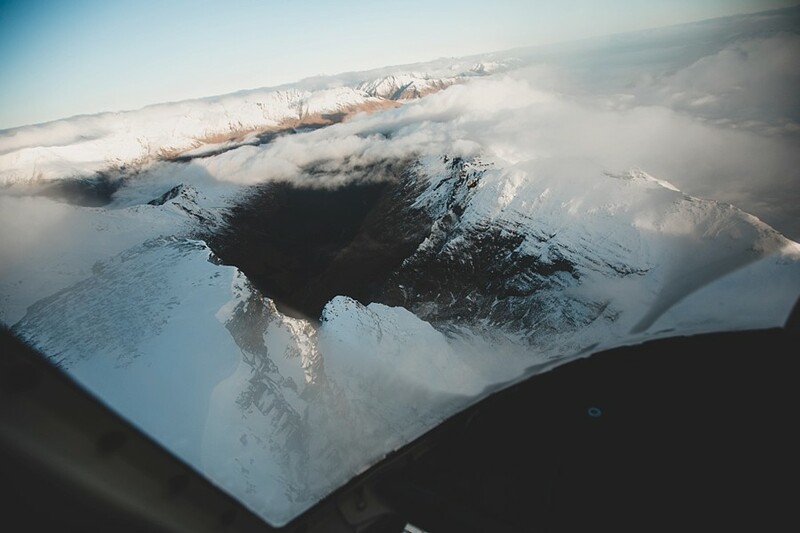 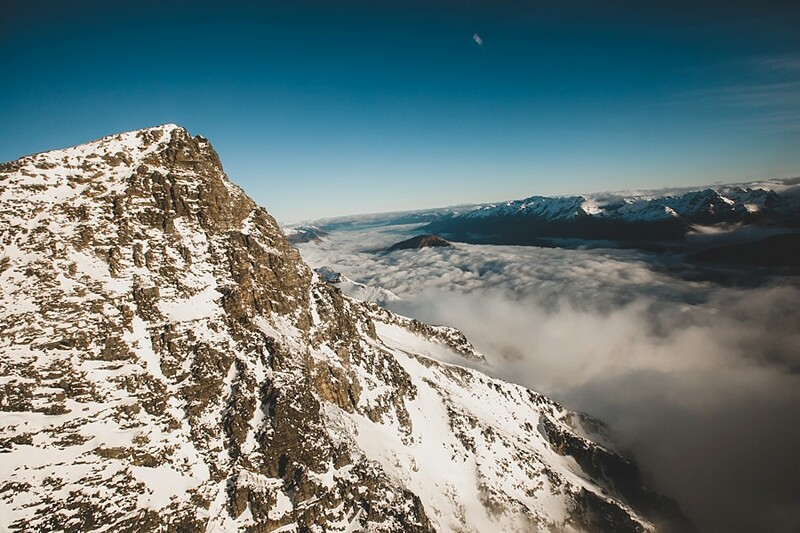 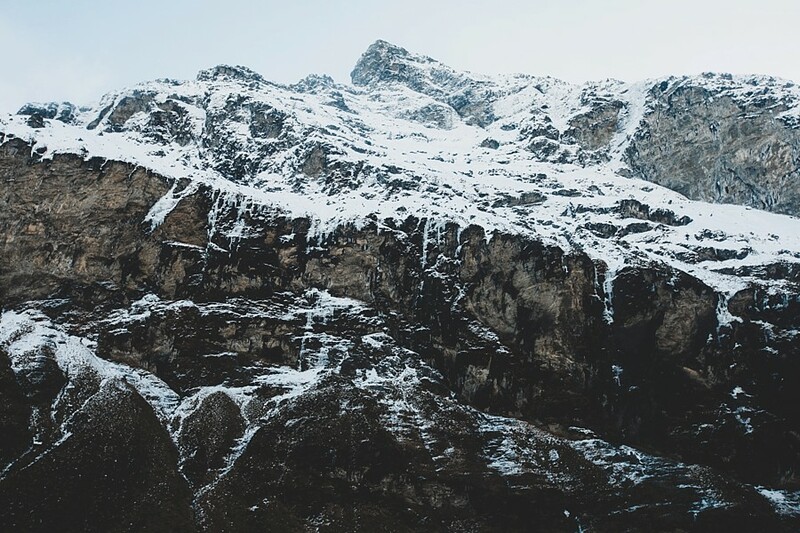 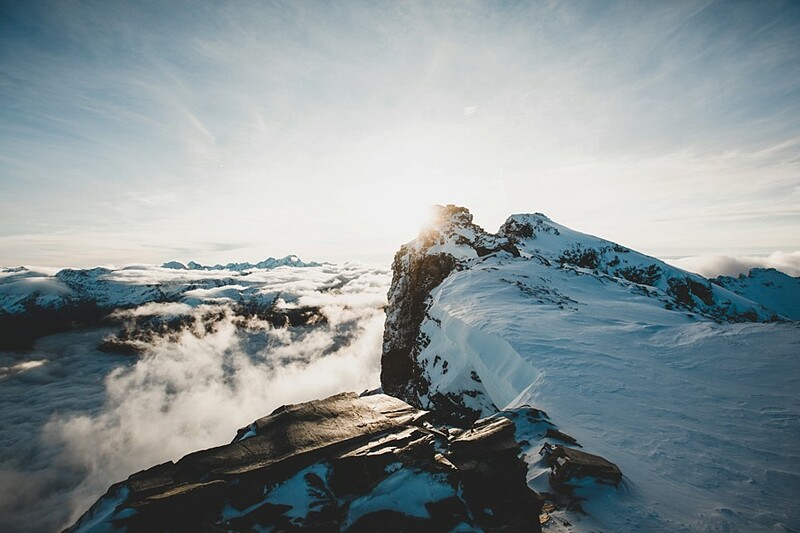 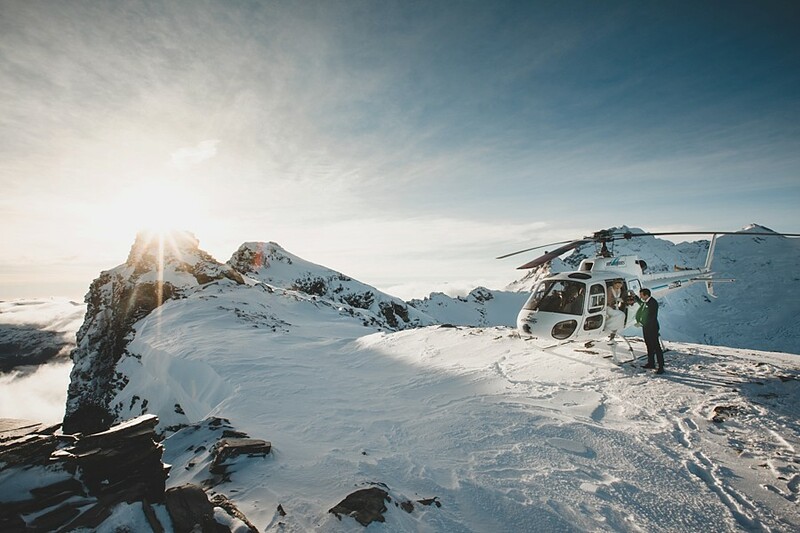 We flew up into Earnslaw Burn – a winter wonderland, with frozen rivers, waterfalls and immense raw beauty. 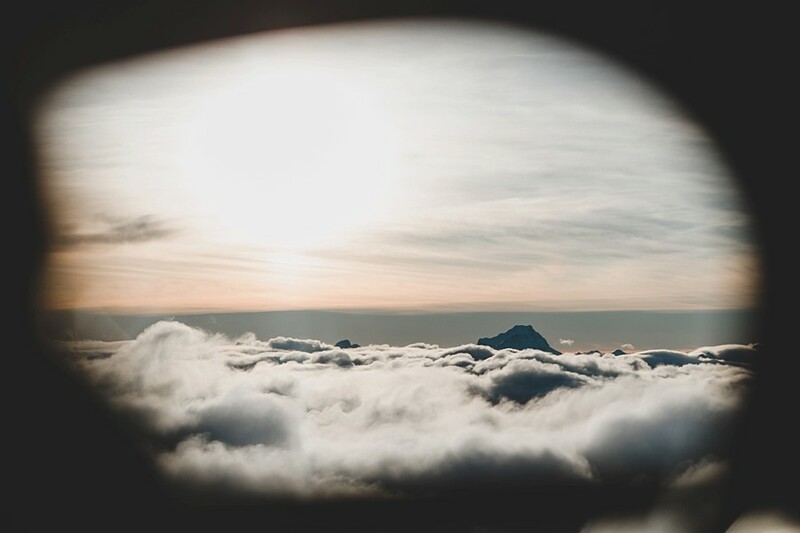 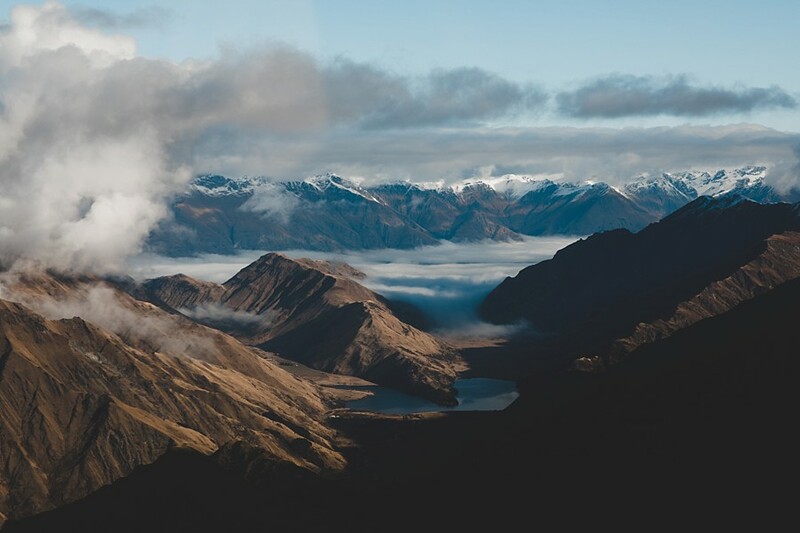 We then flew up to an amazing ridgeline on Mt Earnslaw to capture the last of the sun and see the clouds fill the valley floors.